A FISHPONDS youth club struggling with funding cuts has received a lifeline from a toddler group which meets in the same building. Grove Road Youth Club, which has supported more than 100 young people since it was set up in 2010, has been hit by austerity cuts, with funding sources from grants drying up. 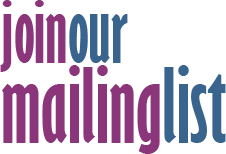 It means the £3,500 it costs annually to cover a youth worker, rent, heating and some activities has to now come from fundraising events. Now the club's committee has received a surprise donation of £150 from the Friday Playgroup, who share the hall at All Saints Church. 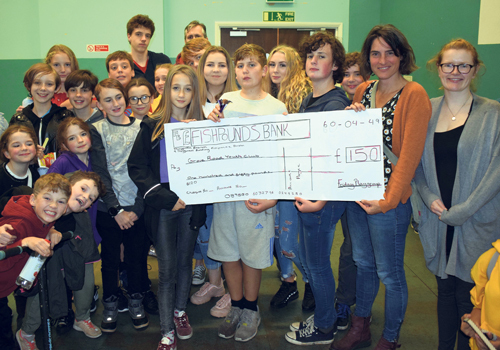 As part of their annual meeting and social, members of the youth club made a giant mock cheque from ‘Fishpounds Bank’, which Julia Pomphrey presented on behalf of the playgroup. Julia said: "When The Friday Playgroup heard that the youth club was struggling with recent funding cuts we were really keen to give a small donation to help. "It’s so important to have local community groups such as these for our local children and young people to access, whether preschool and again as they become young teenagers. "We wish the youth club all the best and hope it will still be around in years to come." Treasurer Robbie Allen said: "This donation really helps fund the club - which is a great local resource for children and gives parents a couple of hours free on a Friday too. We're all really grateful."